You know what would hit the spot?? A thick & juicy classic burger! 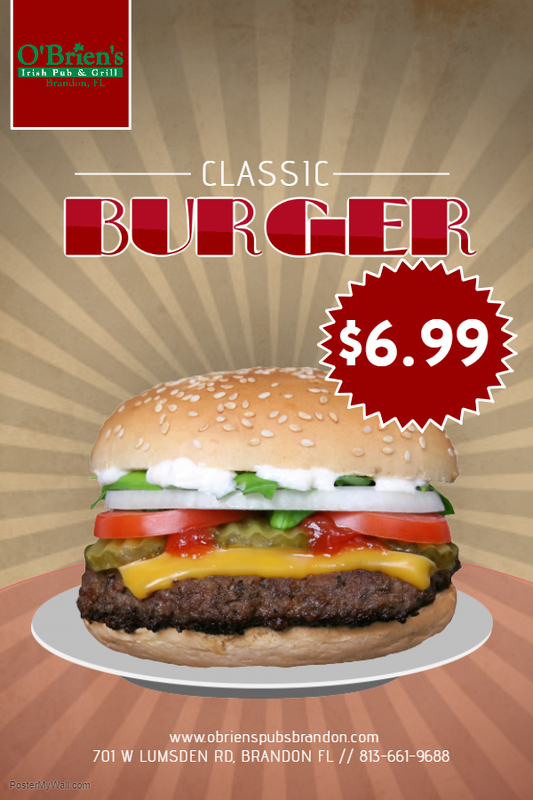 Head to O’Brien’s Brandon every Monday from 6-11 pm for $6.99 burgers! Includes french fries, a burger topped with lettuce, tomato, onion, on a warm bun. Add .99 for cheese.